Florence will continue to bring rain and gusty winds to the state. 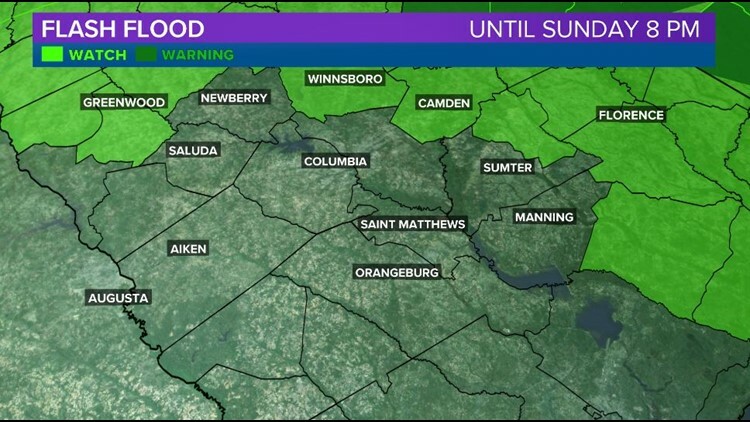 Columbia, SC (WLTX) — Florence has weakened into to tropical depression and is still making its way through the Midlands, but most tropical and flood watches and warnings are no longer in effect. 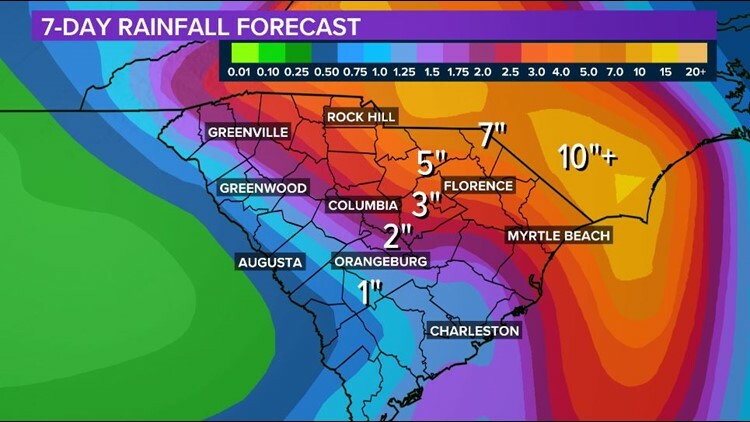 People in the region may still have problems with a few trees being knocked down, and with more rain expected Sunday, flash and river flooding are still a risk for the Carolinas. The National Weather Service got rid of the tropical storm warnings which had been in effect for all counties. The flash flood watch was also dropped for all counties except three: Lee, Kershaw, and Fairfield. The storm only had sustained winds of 25 miles an hour and was moving to the west at 8 miles an hour. Despite that good news, Florence has still been a risk to the state. Three people have died in storm-related incidents, and thousands have suffered some property damage from falling trees. The National Hurricane Center said in its final update Sunday morning that excessive amounts of rain are still being dumped in North Carolina and the effect is expected to be "catastrophic." An elevated risk of landslides is now expected in western North Carolina. As the storm moves through, you really won't see much of a change from what you saw Saturday in terms of winds. Rain will pick up somewhat, and may be heavy at times. The storm still could topple some trees and power lines. The South Carolina Electric Cooperative reminds people that their lineman can't go out and work with high winds, so it could take a while to restore power. All the other utilities have similar rules. As you can see in the graphic above, the rainfall totals have fallen a bit. Now we're only expecting 2-3 inches in Columbia, and 5-6 in the eastern Midlands. A Flash Flood Watch in effect for Fairfield, Kershaw and Lee counties. A Flash Flood Watch means that conditions may develop that lead to flash flooding. Flash flooding is a VERY DANGEROUS SITUATION. You should monitor later forecasts and be prepared to take action should Flash Flood Warnings be issued. We're here for you during the storm. We'll be on-air, and you can find information here on our website and app any time you need. And if the power goes out, you'll still get our alerts can find the latest information on the phone. You can also review the South Carolina Emergency Management Division's checklist for preparation. There are a ton of good resources there.